Shrink Tunnel Machine - 18" X 10"
Saipore CLC Foamed Concrete is an ideal material for tunnel construction and repair. It is used both for the filling of voids created and exposed during tunnelling, and for grouting the finished work, including gaps behind the tunnel lining. both for the filling of voids created and exposed during tunnelling, and for grouting the finished work, including gaps behind the tunnel lining. 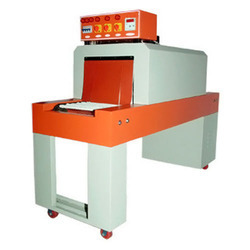 We are the leading Manufacturer of Auto L-Sealer and our product is made of good quality. 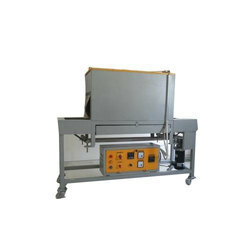 We are offering Mini Shrink Tunnel Machine to our clients. Our Table Top Shrink Tunnel is a versatile equipment which can supplement to Tamper Evident as well as Sleeve Labelling Applications. Aurum also offers specialized methods to achieve good shrinking quality by providing multiple tunnels with differential temperatures in case of bigger size of bottle. Model ID: S-Muck S-Muck is a new mucking machine developed by Susumo for de-mucking during tunnel building. De-mucking in narrow tunnels was always a problem. This machine is specially designed to solve the above problem, where other Indian machines were unable to give desired results. We provide our clients with Shrink Tunnels, which are durable and are an essential part of shrink wrapping machines. Optimum in performance, these are utilized for wrapping products of varied shapes & sizes properly. We make sure that these are fabricated as per the standards recommended by regulatory bodies.